RST Electrical carried out a lighting upgrade for a college in Derbyshire. 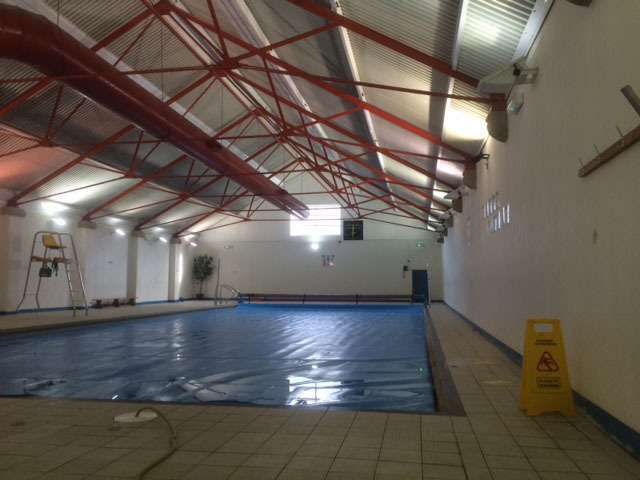 Mount St Mary's College required replacement lighting for the swimming pool building. The existing Metal-halide lamps were replaced with equivalent LED fittings. Prior to work, a risk assessment was carried out. This was particularly important due to working around water and positioning ladders for access. For more information about fire alarm installation, please call us on 07860 775307 or email info@rst-electrical.co.uk.